What is the Madden NFL Overdrive Game? Madden NFL Overdrive is an American football mobile sports game based on the National Football League, developed and published by Electronic Arts. An entry in the Madden NFL series, the game was released for Android and iOS devices on August 26, 2014. Madden NFL Mobile (MM) began as a mobile version of Madden Ultimate Team (MUT), with features like players and cards being available. To earn these, players participate in "Live Events", which can earn them card packs and coins. Another mode that is available is a season mode. 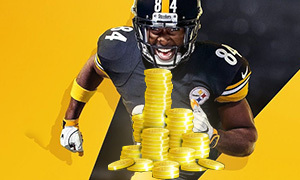 Are the Madden NFL Overdrive Coins & Accounts for sale safe from Joymmo.com? Sure, Joymmo.com is the cheapest Madden NFL Overdrive Coins and Madden NFL Overdrive Accounts provider. 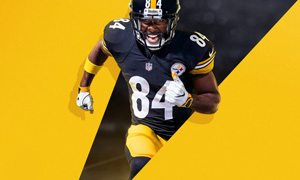 Best Price for buying Madden NFL 19/18/17 Coins or Madden Overdrive Coins (Mobile). 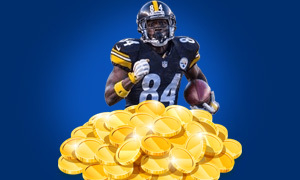 So please place an order of Madden NFL Overdrive (Mobile) Coins or Madden NFL Overdrive (Mobile) Account for iOS and Android phone, we will deliver them to you immediately. Any questions, please contact our 24/7 Live Chat Service.